Java Script Object Notation (JSON) is a format used to describe data and is widely used in applications, web services, Electronic Data Interchange (EDI), and much more. GoAnywhere MFT can create JSON files using information stored in a database or pulled from other files like CSV or Excel spreadsheets. Additionally, data can be extracted from JSON files and loaded into databases or converted into other file formats. GoAnywhere MFT supports JSON objects, arrays, and fields as well as multi-level or nested elements that represent relationships. 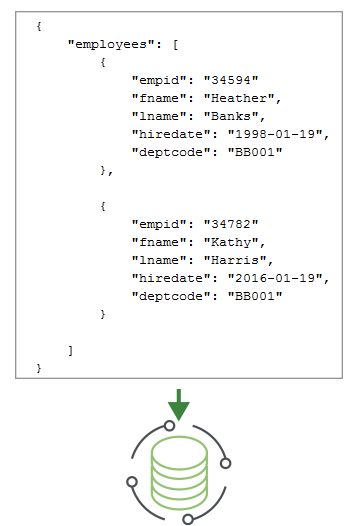 JSON documents can be created from data which is retrieved from one or more database tables. Additionally, JSON documents can be created from data which is translated from other file formats including Excel, delimited text and fixed-width text. After a JSON document is generated, GoAnywhere MFT can post it to a RESTful Web Service or transfer it to other remote servers. 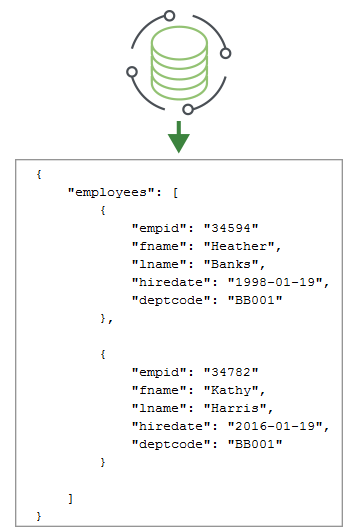 Request a quote to automatically read and write JSON using GoAnywhere MFT.